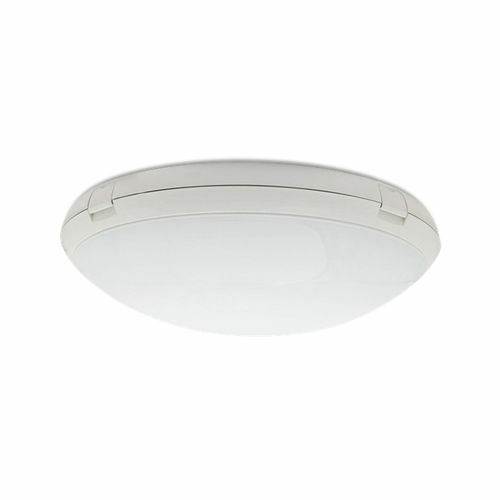 Contemporary ceiling light / round / sheet steel / polycarbonate - E 0350 OPC - Arlight Aydinlatma A.Ş. Lighting > Architectural lighting > Contemporary ceiling light > Arlight Aydinlatma A.Ş. E 0350 OPC Arlight Aydinlatma A.Ş. Produced through injection method, stroke and UV ray resistant Polycarbonate (PC). Produced through injection method, strokeresistant, opal polycarbonate (PC) diffuser. High-efficacy LED MODULE with CRI>80, achieving L90B50 ≥ 50,000 hours of lifetime. High quality steel sheet with electrostatic powder coating, mounted with special clips. Constant current output LED driver with high efficiency and Pf≥0.95.